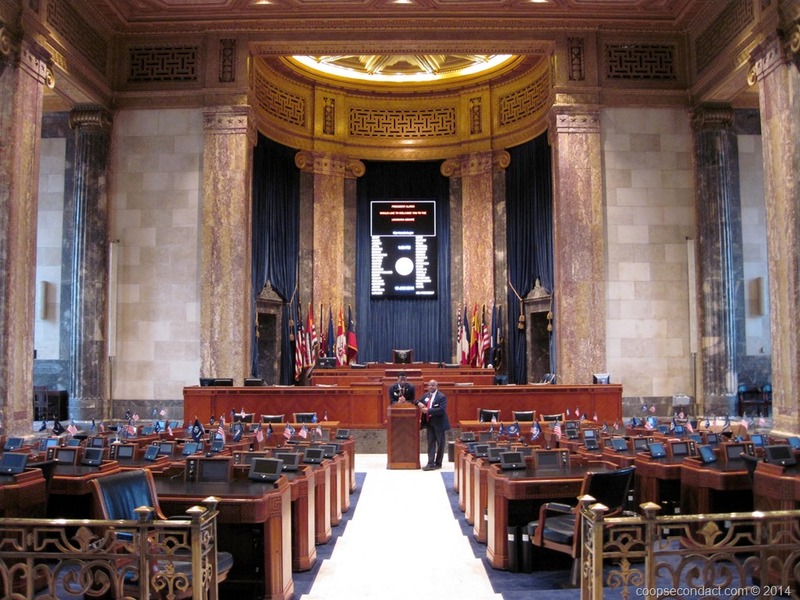 In keeping with our desire to visit State Capitols when we have the opportunity, on our drive from New Orleans to Lafayette, LA, we stopped off in Baton Rouge to see the Louisiana State Capitol (pics). This is a very interesting and very beautiful Capitol building. This building was designed by then Governor Huey P. Long. In the depths of the Depression he convinced the public to build a new State Capitol and completed it in 14 months in 1932. It is the tallest Capitol building in the United States at 450 feet in 34 stories with a 50 foot entrance. As a visitor we were able to take the elevator up to the 27th floor and walk all the way around the observation deck for a great view in every direction. 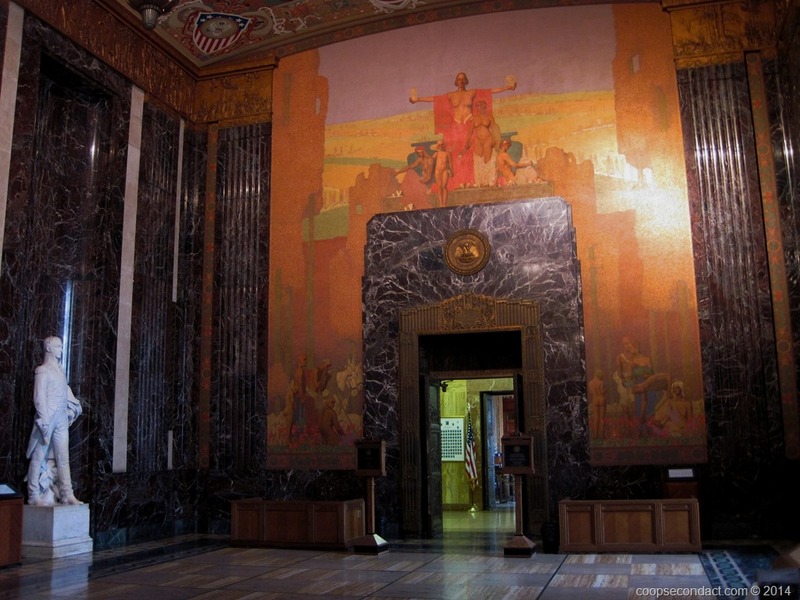 When you enter the building you walk into the striking Memorial Hall with a large bronze relief map of the state of Louisiana and a pair of two ton bronze chandeliers. On one end is the House Chamber with the Senate Chamber at the other end of the hall. Large murals adorn the walls around the entrances to the two chambers. The marble used in Memorial Hall and both of the chambers is quite beautiful. In 1935, then Senator Huey P. Long was assassinated in the hallway outside the Governor’s office. His remains are buried on the grounds of the Capitol beneath his statue.